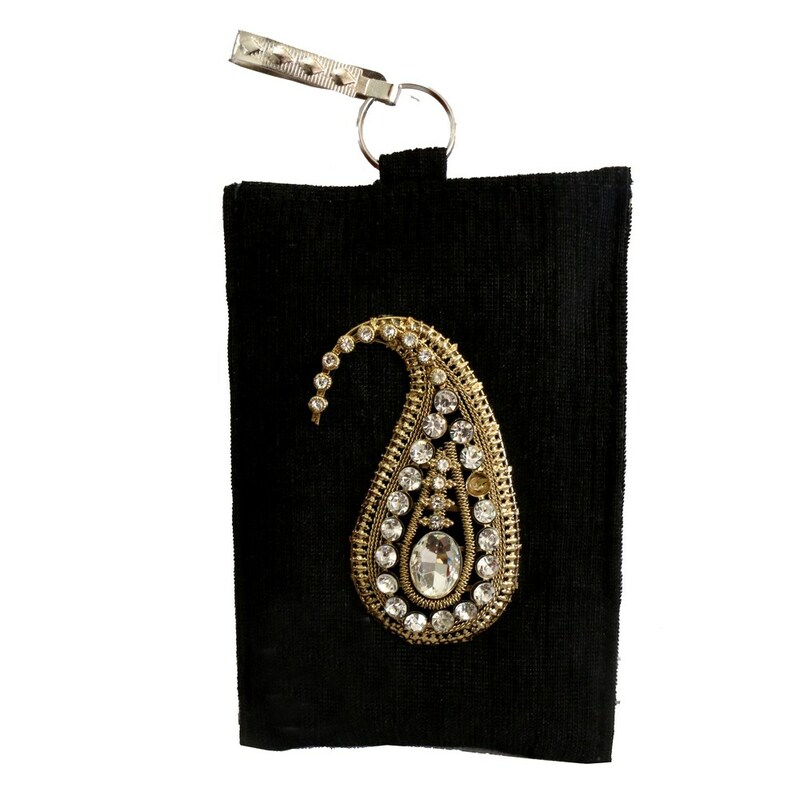 Black is the ultimate style mantra and this clutch in Jed black color, makes everything else appear pale. The black setting is cleverly ornamented with Read More..precise stone work making the entire piece look heavenly. It has a small silver ring attached to the top giving it an even more refine look. Show Less..